It's been an insane day at work today, and I'm actually forced to work through my lunch hour. That means I don't have time to post a long rant or diatribe about some hockey issue. However, I suppose that it could also good because you don't have to read it, especially if you're hunting for something entertaining. 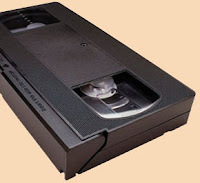 Instead of a long-winded article, I've decided that today will be a "video only" day. Basically, I'm just going to post some hockey-related videos, and you can enjoy. These videos will be a funny look at the NHL and some of the surrounding hockey-related things that hockey has to offer. I hope that this busy state of work won't interrupt me any other time this week, though, so I can get back to writing. Here are the videos. They are from Rick Mercer and Cabral Richards. Mercer is a Canadian comedian who works on his CBC show called The Rick Mercer Report. Cabral Richards, aka "Cabbie", works for The Score sports highlight station, and has taken his interviews to a whole new level. Cabbie On The Street and Cabbie Unlimited are his two features on The Score. Have a laugh at these videos, and take it easy today! Rick Mercer Report = hilarious. Rick Mercer explains the lockout. It seems too simple. Cabbie asks NHL players about weird requests from fans and family. Cabbie asks NHL players about the "level of funk" on their equipment. Cabbie talks with NHL players about naps. I had some chuckles at these. Solid laughter and some great candid moments with some of your favorite NHL stars. There seems to be a serious problem within the ranks of Canada's most successful team thus far this season. It reared its ugly head earlier in the season when Ray Emery decided he could show up for practice at whatever time he felt like. He was promptly told to leave the ice, threw a temper tantrum, and then apologized to his teammates for what could only be described as "child-like behaviour". He swore it would never happen again, and yet here we are after the All-Star Break and Emery has once again been told not to set foot on the ice after showing up late for practice. Look, it's one thing to be a Stanley Cup winner and walking your own path. Tom Barrasso seemingly did that after winning the Stanley Cup in 1991 and 1992 with the Pittsburgh Penguins. His erratic behaviour and off-the-wall demeanor only got worse as team after team sent him packing. However, Emery has not won a Stanley Cup, and has only led his team to one Stanley Cup Final appearance during his NHL career thus far. There have been players who have climbed the mountain to be the best at their positions, and have decided that fitting into the norm wasn't for them. Ed Belfour won multiple personal accolades in his career, including the Vezina Trophy as the NHL's best goaltender, yet Belfour has been the subject of police mugshots more than once. However, I don't remember Ray Emery winning anything yet. Let me be clear: what Barrasso and Belfour did are by no means acceptable ways to act as a professional athlete and role model. I am not justifying their actions, but rather merely stating that sometimes one gets caught up in one's hype. It appears that Ray Emery, who spent the All-Star Weekend in Las Vegas, may have bought into his own hype way too early in his own career. On Monday, Emery showed up four minutes after practice had started at the New York Islanders' training facility. Emery explained that he was late because he thought the practice was at Nassau Coliseum and not the practice facility. It was Ottawa's first practice since the All-Star Break. I can't comment on how Ray Emery runs his life. I don't know if he owns a calendar, a day planner, a personal digital assistant, a Blackberry, or a pen, but I do know that when you're being paid millions of dollars to play a game, you show up on time when the coach says so. There is no question of "what do I want to do" because it affects 23 other guys. I get paid to show up on time at work, or I get reprimanded. They expect me to be there to do my job, and not to waltz in whenever I feel like it. If it happens once, I'm getting my rear end hauled into my manager's office for a "discussion". If it happens twice, I'm looking at a suspension or, possibly, unemployment. I don't know what Ray Emery is thinking, but apparently the Ottawa Senators are like Club Med to him. December 28, 2007 was the first incident of him showing up for a practice late. Emery was late twice for team flights last season. He was involved in a fender bender prior to Ottawa's second round playoff game against the New Jersey Devils that had him in a little hot water. Emery was rushing to the airport to catch the team's flight to New Jersey. Emery was uninjured in the accident, but signed autographs after the incident, and missed the team charter and was forced to take a commercial flight as a result. During the off-season, Emery was involved in another car accident which saw him engaged in a case of "road rage" against an elderly driver. That incident nearly had him facing a lawsuit. The December incident of being late saw Emery send water bottles flying by slamming them with his stick. He left the ice looking quite angry, and was sent home as a result of it. Less than two weeks later, Emery and teammate Brian McGrattan were involved in a fight during practice. While both men joked that it was nothing serious, Emery's antics have clearly begun to annoy some of his teammates, and the man who gave him his three-year, $9.5 million contract. "He doesn't seem to realize at times that he's under a microscope," said GM Bryan Murray on December 30, 2007. "If he's late for a minute at practice, it's written about every day. Some other players would be excused. He's not right now. "We just ask him to be there when he's supposed to be there, practise when he's supposed to practise, do as well as he can, and his talent will step forward. We know that." Ray Emery was fined one day's pay, or in the vicinity of $14,705.88, for his latest show of tardiness. According to the NHL's Collective Bargaining Agreement, this was the maximum fine that the Senators could impose on their goaltender. It is contained in what's called Exhibit 14, Form of Standard Club Rules. On the matter of missing practice, section 3(b) reads as follows: Any player who missed a scheduled practice without valid and pre-approved permission will be fined 1/187 (the number of days in the regular season) of his NHL salary. While I don't think it's time to characterize Ray Emery as a cancer on the Ottawa Senators, it's clear that his immature antics have to stop. The 25 year-old netminder has a long career ahead of him yet, especially if he can get himself straight. Will that career be with Ottawa? GM Bryan Murray didn't put any fires out. "I certainly have talked to some teams about goaltending," he explained. "At this moment, most teams feel satisfied with their goaltending, so there isn't any opportunity at the moment. The option is to leave him at home and not let him play and I don't know if I want to do that at this point in time." Whatever the case may be, Ray Emery needs to grow up. Whether he be traded or remains in Ottawa, his behaviour clearly has to change. His teammates and management have suggested as much, and there isn't a GM not named Mike Milbury who would trade for a guy that comes with as much baggage as Emery is carrying. It's time to be a professional athlete, Ray Emery. You're paid like one. Accept the role of being professional as fast as you accept your pay. And stop acting like a spoiled brat. 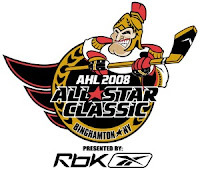 After an exciting finish to the NHL All-Star Game last night, capped off by a Marc Savard game-winning goal with 21 seconds remaining, the AHL All-Star Game goes tonight in Binghampton, New York at the Broome County Veterans Memorial Arena. The AHL held their Skills Competition last night, and there were several records equalled and broken during the event. However, unlike the NHL, the AHL didn't radically change their Skills Competition in terms of the events. Was it as entertaining? That's debatable. However, there certainly were some good performances put on by the AHL All-Stars. Canadian forward Marc Mancari of the Rochester Americans blew away the AHL record, and the other competitors, for the hardest shot last night by recording a speed of 102.8 mph in the Rbk O-Stick Hardest Shot event. The next closest shooter was PlanetUSA's Jonathan Ericsson of the Grand Rapids Griffins who was the only other skater to break the century mark with his 100.1 mph shot. Manchester Monarchs forward and PlanetUSA representative Gabe Gauthier became only the second AHL player to go 4-for-4 in the Rbk Sickick Stick Accuracy Shooting. I guess this is why he keeps being recalled by the Los Angeles Kings. Iowa Stars forward and PlanetUSA representative Toby Petersen won the CCM U+ Skate Fastest Skater event with a time of 14.001 seconds. 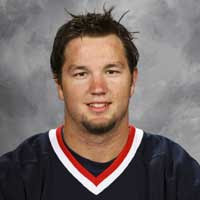 The 2008 AHL All-Star Game is Petersen's second time as an All-Star. Albany River Rats forward and PlanetUSA captain Keith Aucoin won the InGlasCo Puck Control Relay event. This is Aucoin's third appearance at the AHL All-Star Game, and his first as captain. Milwaukee Admirals goaltender and PlanetUSA representative Pekka Rinne won the Rbk XPulse Top Goaltender award in stopping 16 of 19 Team Canada shots. This is Rinne's second appearance at the AHL All-Star Game. Overall, PlanetUSA won their fourth Skills Competition in the last five years, and look to continue their winning ways tonight. Coverage from Binghamton begins at 7:00 p.m. ET on Rogers Sportsnet in Canada, a series of regional networks in the United States, and at no charge via B2 Networks’ video webcast on the AHL website. The game can also be heard live on XM Satellite Radio. Don't forget: Hockey Blog In Canada's one-year anniversary Essay Contest continues! You have until the clock strikes midnight on February 1, 2008 to get your essays in! All the details can be found here. Judging from the number of entries I've received so far, someone is going to get a pile of free schwag, or everyone is still working. I hope it would be the latter, but you never know. 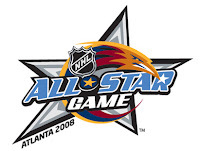 Today features the NHL Skills Competition and YoungStars Game from Philips Arena in Atlanta, Georgia, and I am anxious to see the "new" skills competition. While I haven't interviewed him, I would guess that Cordozar Calvin Broadus Jr., aka Snoop Dogg, would also be pumped for the All-Star Game and Festivities, but I don't think he'll be there. In any case, the Skills Competition has changed, and it sounds like it may have changed for the better. Less players lollygagging around, and more participation from all should make the event a little less monotonous and a little more entertaining. The Obstacle Course: This event involves three skaters and one goalie per team. Each team will attempt to complete the obstacle course twice under the 45-second allotted time. Skater 1 starts behind the net in the trapezoid, and must stick-handle his way through a series of coloured pucks in the faceoff circle to the right while controlling a puck. If he loses the puck, he still must complete the course in order for his team to carry on. Once completed, the referee blows his whistle for Skater 2 to begin his leg of the course. Skater 2 is positioned across the ice from a net at the neutral zone faceoff dot. He must attempt to saucer pass four pucks over a barrier into the net across the width of the ice at the opposite faceoff dot. Once the fourth puck reaches the net, the referee blows his whistle for Skater 3 to begin his leg. Skater 3 will be standing between the faceoff circle and the blueline. He'll receive four passes from Skater 1, and attempt to one-time each of them into the net at a target. When the fourth shot has been attempted, the referee will blow the whistle for the Goalie to begin the fourth leg. The Goalie will be standing in the slot between the faceoff circles and fire four shots down the ice to see if he can hit the net in the opposite end of the rink. Skater 3 will be passing the puck to the Goalie. Teams receive two goals for successfully stick-handling through the puck maze, one goal for each saucer pass that goes into the net, one goal for each one-timer to hit the target, and one goal for each goalie goal. Highest possible goal total for this event is 28 goals. Fastest Skater: While this is a holdover from previous All-Star Skills Competitions, it has been modified. There will be three skaters per team in this event, and they will compete in four head-to-head races. However, the fastest time is what each player is going for. The players will race from the goalline to the opposite blueline. The first three races will see one player from the West race one player from the East. The fourth and final race sees the fastest skaters from each team square off. And to be sure there are no disputes about time, winners will be determined by electric eyes that record time in the thousandths of a second. As a note, those electric eyes failed during last year's Fastest Skater Competition, and there were stopwatches used. Let's hope that the NHL has tested them this year for any bugs or malfunctions before the event starts. The record for skating around the rink was held by Mike Gartner. Gartner set the record of 13.386 seconds for one lap around the rink in Boston in 1996. One goal will be given to the team with lowest average time from the first three races, and one additional goal will be awarded to the team with the fastest skater. Highest possible goal total for this event is two goals. Elimination Shootout: This event will be familiar to everyone as the shootout has become a major part of NHL life. Six shooters and all three goalies square off in this one. Each shooter gets to shoot once to try to score. Each goalie will face two shots. The initial six shots from the six shooters will determine who moves on to the Elimination Round. If you score, you move on. If you don't, you don't qualify. In the Elimination Round, shooters must continue to score, and goalies must continue to stop them, in order for the event to continue. The last player to score will win this competition. The goalies are forced to alternate rounds. The team that has the winning shooter will receive two goals. Two goals are the maximum goal amount for this event. YoungStars Game: The YoungStars Game has gone from a legitimate game to 12-minute exhibition of talent. The game is played three-on-three in two six-minute periods. There are eight "YoungStars" and one All-Star Goalie on each side. There is one faceoff to start the period, and that's it for puck-drops. It then becomes a game of shinny. After goals, the team that scored must return to the defensive zone before attacking again. If a puck is sent into the crowd, a new puck is awarded to the non-offending team. If a puck is frozen by the goaltender, the attacking team must clear the offensive zone before attacking again. If the puck is iced, or a player goes offside, his team loses possession of the puck. The only time the clock will stop during the game is if a penalty shot is awarded. Upon the conclusion of the penalty shot, the team who took the shot must tag up in the defensive zone again. The Western YoungStars are as follows (TEAM-POSITION): Alexander Edler (VAN-D), Erik Johnson (STL-D), Jack Johnson (LAK-D), Matt Niskanen (DAL-D), Sam Gagner (EDM-F), Patrick Kane (CHI-F), Peter Mueller (PHO-F), and David Perron (STL-F). The Eastern YoungStars are as follows (TEAM-POSITION): Tobias Enstrom (ATL-D), Kris Letang (PIT-D), Mike Lundin (TBL-D), Marc Staal (NYR-D), Niklas Backstrom (WAS-F), Brandon Dubinsky (NYR-F), Dave Clarkson (NJD-F), and Milan Lucic (BOS-F). The winning team of each period will receive a goal for their team overall. Maximum goals earned in this event is two goals. Accuracy Shooting: Four styrofoam targets, each 15 inches in diameter, will be at the mercy of the shooters again this year. The shooter stands 25-feet from the goal line and will receive passes from players stationed to the right and left of the goal posts. The shooter has 18 seconds to shoot up to eight pucks at the four targets. The event ends when he either breaks all four targets or runs out of time. Passes that the shooter can’t handle are considered attempts. The final round is a head-to-head competition for the most-accurate shooters from each team from the three shooters selected. If two shooters on one team are tied, than the captain will select his shooter for this round. The shooters get nine seconds for four pucks while trying to hit as many as possible. If they are tied, it goes to a shoot-off where players attempt to hit one target in three seconds. The record for accuracy shooting has been equalled four time by three players. Ray Bourque went 4-for-4 in 1992 and 1993, Mark Messier in 1996, and Jeremy Roenick did it in 2004. One goal will be awarded to the team that hits the most targets in the fewest shots in the qualifying round, and one goal will be awarded to the team of the shooter who wins the head-to-head challenge. If there are any ties, each team will receive a goal. Maximum goals awarded in this event is two goals. Hardest Shot: Four shooters. Two shots per shooter. 30-feet from the net. Let 'er rip! Al Iafrate still holds the record in this event. In 1993, Iafrate recorded a shot that travelled at 105.2 mph with a wood stick. No one else has even broken 103 mph in the history of the Skills Competition. The team with the best average score in miles-per-hour will receive a goal for his team. The player who records the fastest shot will also score a goal for his team. Maximum goals earned will be two goals. Breakaway Challenge: This is the "Slam Dunk Competition" for the NHL Skills Competition. There are three shooters and three goalies from each team participating. The shooters can start their routine from anywhere in the offensive zone and take the puck anywhere they want in the offensive zone. The celebrity panel of judges will be able to rate the moves of the skaters based on creativity, execution and ability to put the puck in the back of the net. They will award anywhere from one to nine points based on this criteria. A shooter can score a perfect ten by scoring the goal after he makes his moves. 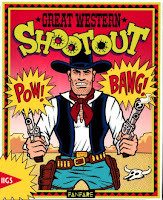 In a shootout of the top point-earning shooter from each team, each shooter will get two more attempts to dazzle the crowd, and more importantly, the judges. The shooter with the highest single score from one of his attempts wins. Cue up the VCRs and DVRs because I guarantee you that there will be some mind-blowing moves in this event. The team with the best average score in the qualifying round will be awarded a goal, and the team of the shooter who wins the final will receive a goal. In the event of any ties, both teams will receive a goal. Maximum goals earned in this event is two goals. Last year, the Eastern Conference won the Skills Competition, but this year's West squad appears to have a slight advantage with some of the bigger Eastern Conference stars missing out. Kick back, relax, grab a beverage, and enjoy tonight's Dodge/NHL Skills Competition. It looks like it should be entertaining, and it should provide a pile of highlights, especially from the Breakaway Challenge. Hey, folks! Sorry about the missing days lately. I've been busy with this stupid little thing called "Real Life". I've asked that the owner of Real Life no longer concern me with his issues, but he keeps dragging me into them. I'm trying to break off all contact with this Real Life thing, but so far my attempts have been futile. Anyway, on to hockey news where there were 13 games on last night as the NHL prepares for its All-Star Extravaganza based in Atlanta this year, and I'll run down the highlights. About Last Night: 13 games last night meant a lot of action in the NHL. Because of the games, there were changes as to leaders in categories as well. The Boston Bruins rebounded from the beating taken at the hands of the Montreal Canadiens by defeating the Long Island Broncos 4-1. Dennis Wideman, Milan Lucic, Chuck Kobasew, and Phil Kessel scored for the Bruins. Mike Sillinger scored the loan Islanders goal. Tim Thomas picked up the win by stopping 28 shots, while Rick DiPietro suffered the loss. The Montreal Canadiens continued their hot streak of late by defeating the New Jersey Devils 4-3 for only their second win in the last 20 games versus the Devils. Montreal scored three third-period goals to secure the win after being down 3-1 through two periods. Patrik Elias had two goals for the Devils while Jamie Langenbrunner had one in a losing cause. Bryan Smolinski had two for the Canadiens while Saku Koivu and Chris Higgins chipped in singles. Cristobal Huet recorded the win, while Martin Brodeur suffered the loss. The Philadelphia Flyers jumped ahead of the Pittsburgh Penguins in the Atlantic Division standings, and are tied for first with the New Jersey Devils, after defeating the Penguins 4-3 last night. RJ Umberger opened the scoring for the Flyers, and the teams traded goals the rest of the way. Randy Jones, Jim Vandermeer, and Mike Knuble also scored for the Flyers. Pittsburgh got goals from Evgeni Malkin, Petr Sykora, and Ryan Whitney. Martin Biron earned the victory, while Ty Conklin suffered the loss. Washington rebounded to win the second half of the home-and-home series with Toronto by a 2-1 margin. The Capitals' Brooks Laich and Viktor Kozlov scored, while Boyd Devereaux responded for the Maple Leafs. Brent Johnson recorded the win, while Vesa Toskala took the loss. Alexander Ovechkin had two assists to sit third in NHL scoring with 65 points. The Ottawa Senators hammered their expansion brothers from Tampa Bay by an 8-4 score. Daniel Alfredsson recorded the hat-trick, Jason Spezza had two goals, and Antoine Vermette, Randy Robitaille, and Dean McAmmond all had singles. Dan Boyle scored his first two goals of the season for the Lightning, while Nick Tarnasky and Craig McDonald scored a goal apiece. Alfredsson also assisted on four of the five goals scored by the other Senators, giving him seven points on the night. He took the scoring lead in the NHL after Vincent Lecavalier was held pointless, and leads the Lightning centerman by a point in the race for the Art Ross Trophy. Martin Gerber picked up the win, while Karri Ramo was given the loss. Edmonton increased their shootout record to an impressive 12-3 after defeating the Florida Panthers 4-3 in the shooutout. Greg Campbell, Brett McLean, and Olli Jokinen scored in regulation for the Panthers. The Oilers got regulation-time goals from Ethan Moreau and a pair from Jarrett Stoll late in the game. The only shootout goal was scored by Edmonton's Shawn Horcoff. Mathieu Garon recorded the win, and Tomas Vokoun suffered the loss. The New York Rangers defeated the Atlanta Thrashers in the shootout by a 2-1 score on a night where the Rangers honoured former standout defenceman Brian Leetch. The Rangers retired #2, and sent it to the rafters between Mark Messier's #11 and Mike Richter's #35. It was also announced that Adam Graves' #9 will be retired next season. Scoring for the Rangers was Michal Rozsival while the Thrashers got a goal from Marian Hossa. Brendan Shanahan was the only player to score in the shootout. Henrik Lundqvist picked up the win, while Johan Herberg took the loss. With the win, the Rangers moved into 8th-place in the Eastern Conference. The Columbus Blue Jackets keep climbing the Central Division standings. They defeated the Chicago Blackhawks 1-0 last night. The lone goal was scored by Jared Boll, and Pascal Leclaire recorded his league-leading eighth shutout of the season. Nikolai Khabibulin suffered the loss, and is currently mired in an 0-7-1 streak. The highest-paid player on the Blackhawks hasn't won since December 26, 2007. The Barney Rubble Hairpieces won for only the second time in 14 games after defeating the Dallas Stars 2-1 last night. Two goals by Derek Roy paced the Sabres to the win, while Dallas' lone goal was scored by Stu Barnes. Ryan Miller picked up the win while Marty Turco took the loss. The Minnesota Wild played shutdown hockey again last night, defeating the Colorado Avalanche 3-2. Goals by Todd Fedoruk, Brian Rolston, and Pavol Demitra paced the Wild to the win. Colorado saw Andrew Brunette and Wojtek Wolski respond. Niklas Backstrom was awarded the win for Minnesota while Jose Theodore suffered the loss. Minnesota improved to 20-0-0 when leading after two periods this season, and Backstrom improved to 25-0 in his career when the Wild go into the third period with the lead. The Wild regained first-place in the Northwest Division. The Phoenix Coyotes defeated the Nashville Predators 4-3 in overtime last night. The Coyotes improved to 18-0-0 this season when they score four goals or more. Phoenix goal-scorers were Radim Vrbata with the hat-trick in regulation time, and Zbynek Michalek scored the overtime winner. Alexander Radulov, Rich Peverley, and Martin Erat responded for the Predators. Vrbata also assisted on Michalek's OT winner, giving him four points on the night. Ilya Bryzgalov picked up the win for the streaking Coyotes, while Chris Mason was tagged with the loss. The Los Angeles Kings, playing some better hockey of late, knocked off the recently-hot in-state rivals in the Anaheim Ducks by a 3-1 score. Anze Kopitar, Derek Armstrong, and Alex Frolov has the Los Angeles tallies, while Rob Niedermayer scored for the Ducks. Jason LaBarbera was awarded the win. Jean-Sebastien Giguere took the loss. Surprisingly, the Anaheim Ducks received a two-minute team penalty for abusive language last night. It's rare to see that kind of penalty awarded to a team. Naughty Ducks! And in the last game from last night, the San Jose Sharks thumped the St. Louis Blues by a 4-1 margin. The Sharks saw Jonathan Cheechoo score twice while Milan Michalek and Steve Bernier scored singles. Brad Boyes was the lone St. Louis goal-scorer. Evgeni Nabokov picked up his league-leading 27th win of the season, and Manny Legace recorded the loss. Ok, so those are all the highlights from last night's NHL games. The All-Star Weekend gears up today, and the Skills Competition goes tomorrow from Atlanta. The 56th NHL All-Star Game goes Sunday afternoon, and can be seen and heard on Versus, CBC, RDS, and NHL radio. I'll talk a little about some of the former NHL All-Star Skills Competitions, and the great performaces from each tomorrow. The fallout at the Air Canada Centre has finally happened, and John Ferguson Jr. is now on the unemployment line in Toronto. Richard Peddie and the MLSE board of directors pulled the trigger on the firing, dismissing Ferguson earlier this morning. While this has been the worst-kept secret in hockey over the last month, the firing has to be a relief for Mr. Ferguson who could seem to do no right in the eyes of the media or the public. Personally, I feel that MLSE made a huge mistake at the beginning by hiring an inexperienced general manager who had very little hockey knowledge compared to his colleagues, but that's neither here nor there at this point. "After full consideration of the Leafs' situation, it has become clear that change and a new direction is needed," stated MLSE President and CEO Richard Peddie at a press conference held at the Air Canada Centre Tuesday. "Regrettably, we did not win enough games to reach our goal, winning the Stanley Cup. "Our team performance has fallen short of what is to be expected. Today, we need to forge the start of a new beginning for (the) Toronto Maple Leafs. And we begin with the man seated next to me, a man with Hall of Fame credentials, who is highly regarded by Leafs fans and by hockey people around the globe. We have reached out to Cliff Fletcher and his 50-plus years of hockey management experience to serve as general manager of the Leafs on an interim basis." Cliff Fletcher has been brought in to steer the good ship Maple Leafs back to the promised land. He has signed a 19-month contract that will see him act as interim GM until a full-time man can be hired, and remain with the team for the remaining time on his contract as a consultant. However, Fletcher insisted he was not interested in the GM position as a full-time job. "It is a job for a much younger man," said Fletcher. "Our ideal candidate will be a long-term builder and a short-term fixer who has an established track record of success on the ice," explained Peddie. "Along with experience and extensive knowledge in the areas of drafting and identifying talent in the professional, amateur and international ranks, this individual will be comfortable with the intense scrutiny within the Toronto hockey market and will work effectively with the media. "He will have the full autonomy to lead this hockey club in the manner he feels is best," added Peddie. 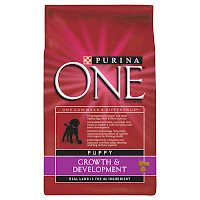 Call me crazy if you like, but isn't that what Scotty Bowman had asked for before Peddie turned him away? What's with the change of heart all of a sudden? If you want a classic case in mismanagement of a professional hockey franchise, look no further than Maple Leaf Sports and Entertainment. People complained long and loud about "Dollar" Bill Wirtz and his control over all things related to the Blackhawks, but MLSE has taken a franchise that was at its height in the early-1990s and run it into the ground. From poor trades to ridiculous contract signings to a non-existant draft plan, the Maple Leafs have gone from being an upper echelon NHL team to playoff also-rans to cellar dwellers. Putting Cliff Fletcher back in charge seems to simply be a band-aid solution. Then again, aren't most of the decisions made by MLSE those kinds of solutions? Just wanted to throw a shout-out to A Queen Among Kings who did a fabulous interview with Los Angeles Kings' goalie Jason LaBarbera. Some of the questions are highly-entertaining, and it is a recommended read. Personally, these kinds of interviews are fun. The serious interviews are stale and repetitive, and probably more so for the player, so seeing this kind of fun gets a big thumbs-up from me. Well done, CKim! I look forward to more! Don't forget: the HBIC Essay Contest is in full-swing. Prizes will be awarded at the end of the contest after I have judged the essays. For information, please check it out here. Hockey Blog In Canada marks January 21, 2008 as its first anniversary of being somewhat-live on your Internet feed. That's right! The old blog has made it through its first 365 days. While there have been both good and bad times seen by this writer over the last year, my passion for hockey still burns like an inferno. That being said, I made mention that I'd have a little essay contest on here, and that's precisely what will go on until the end of January. And yes, there are prizes to be won. I know there are blogs that offer free schwag and stuff, but this is legitimate, and I've already collected a few prizes. All in all, if you want to participate, please keep reading. If writing an essay about hockey over the next ten days or so doesn't interest you, then I'll see you tomorrow. Still with me? Alright... let's begin. Here are your essay questions. I've taken some time in researching these, and hopefully they'll make for a little fun on your end. The best part of these essay questions is that you, the reader, will get to play an NHL general manager or executive in these scenarios. You will be able to make a decision based on the info you know and present about how these scenarios will play out. Unlike the Toronto Maple Leafs and John Ferguson Jr, I will not interfere with your decisions as the person to which you are justifying your decisions. I will simply read your "report" and decide whether the logic and proof you provide adequately supports your decision. In short, I will grade you on your essay based upon the material you provide me. I now present to you the three options you have as essay questions. You are required to answer ONE (1) question only. However, you may only enter ONE ESSAY PER QUESTION. Why? You only get one shot at these situations. Secondly, all documents must be sent in via MICROSOFT WORD. That means the only format I want to see is .DOC. If you submit it any other way, I will discard it immediately. There will be no exceptions made on this rule. Please send it to me VIA EMAIL at cdnuniguy-at-gmail-dot-com. Lastly, please think outside the box. Have a little fun. You're a GM or executive for an NHL team, and you're working to make your team better. After all, when's the last time anyone handed you a team and said, "Have at 'er"? In all questions, please provide as much proof and detail as you can, and make sure you answer all parts of each question! 1. We've seen the long-term contracts handed out to players such as Rick DiPietro (NYI), Mike Richards (PHI), and Alexander Ovechkin (WAS). With the influx of young talent in the league and the limits placed on rookie contracts, there will be opportunities for other long-term contracts to be awarded to deserving players. (a)If you're a general manager for a hockey team, are long-term contracts good for hockey, and specifically your team? What benefits and/or risks are associated with a long-term contract for your team, and would you sign a young player to a decade-long contract or longer? (b)Putting yourself into the shoes of a general manager can be tough. Can you justify why you would OR would not re-sign one of the following restricted free agents listed below to a long-term contract if you were the GM of that team? How long would his next contract be, based on your decision regarding long-term contracts, and what dollar amount would you consider a fair market value for the type of player he is? Please consider such variables as injuries, statistics, relationship to the fans and media, and marketability for your team. 2. Sometime in the near future, the NHL has decided that expansion is once again a viable option to grow the game. The powers-that-be have decided that the NHL will expand by two cities, and has come to you as part of the expansion committee to get your thoughts. (a)What two cities would you select for NHL expansion based on market size, arena size, and hockey culture? Please cite specific examples of why each of these cities would be a viable hockey market. (b)How would you arrange the divisions with these two new teams involved? Would you make any changes to the six-division setup we currently have? Would you be in favour of making a change to the current playoff system we have that currently allows weaker teams that win a division to be placed ahead of stronger teams? (c)What would you name the two new teams? 3. There have been several questionable moves by players over the last year, most resulting in suspensions. While some of these suspensions have been for violence, others have been for substance abuse. (a)In regards to players like Sean Hill who have been caught using performance-enhancing drugs (PEDs), should the NHL become more proactive in working with the NHLPA to promote additional drug testing? Should the NHL adopt the International Olympic Committee's Drug Testing Policy? What should the NHL do regarding players who have been caught using PEDs? Should there be more punitive results that the NHL can hand down regarding those who use PEDs? How long should the punishment(s) be? (b) In regards to players like Chris Simon and teams like the Philadelphia Flyers, should the NHL work harder to protect their investments in players by administering harsher penalties on those who attempt to injure another player? In what way can the NHL keep the hits and checks in the game without putting the players at risk? (c) Propose a system or systems that players can follow regarding suspensions for committing an act of violence and/or being caught with a performance-enhancing drug. This system should backup your statements regarding the above questions. Would you base it on any other system in any other sport or event? Ok, so that should do it. The contest is now live! You can send in an essay anytime before 11:59PM Central Time on January 31, 2008. The contest officially closes the moment the clock strikes midnight on February 1, 2008. Finally, I want to say thank you to everyone who stopped by this site in the first year. There were 33,183 visits over that time, and 135,753 page views! Honestly, those numbers humble me, and I want to thank each and every one of you for reading, commenting, and just stopping by. To the people on my Hockey Blog List, I thank you for making this year incredibly fun, and for your commitment to this amazing game. To the people I have been in contact with via email, I thank you for your continued support. I couldn't have made it this far without you all. Year One was a blast, and I look forward to kicking off Year Two with some free schwag for you, the readers, as well as some upcoming fun. Teebz's Book Club is still growing. The "You're Wearing That?" articles will have another edition added shortly. And, as always, there will be coverage of all forms of hockey. Thanks again, everyone, for a wonderful first year. Keep your sticks on the ice! One of the greatest men in Canadian sports broadcasting history passed away today. Don Wittman, pictured to the left, passed on in a Winnipeg hospital surrounded by his family at the age of 71 after succumbing to a battle with cancer. Mr. Wittman was literally the voice of CBC's broadcasts for much of the last 50 years, and he will be remembered by this writer for his generosity, his professionalism, and his kindness. Across Canada, he'll be remembered as the voice of CBC's coverage of the Olympic Games, the CFL, Hockey Night In Canada, and many other sporting events. CBC broadcaster Scott Russell, who worked with Wittman at several Olympic and Canada Games, called him "the most unselfish broadcaster I've ever worked with". "Don always believed that his job was to be the guide of a sporting event," Russell said in Vancouver. "He took us through, he introduced us to the characters, then he let the athletes shine. Don was the guide, he was the storyteller. That's what made him great." Indeed, he was a voice that was recognizable to most Canadians. He was far more content in describing the atmosphere of the sporting event he was covering than describing his personal feelings. "It was his ability to be a wonderful storyteller and weave the stories that he was so strong at," said Canadian curling icon and CBC broadcaster Colleen Jones from her Halifax home. "And the creating drama, and his voice obviously was fantastic. All of that just lent itself to just being the best." His involvement in the sporting world has made him a part of sports history as well. Mr. Wittman worked the 1987 World Junior Championships in Piestany, Czechoslovakia as the play-by-play man during the famous bench-clearing brawl between the Soviets and the Canadians. He worked the 1972 Summer Olympics in Munich where terrorists had captured nine Israeli athletes, and looked into the face of one of the masked men. Mr. Wittman also made the call on one of the most replayed and most infamous moments in Canadian sports. Disgraced Canadian sprinter Ben Johnson's 100-metre gold medal and world-record win at the 1988 Seoul Olympics, all of which was later nullified by a positive doping test. He was in Atlanta for the Olympics as well. It was there where he called the gold medal and world-record performance of Canada's Donovan Bailey in the 100-metre sprint. Mr. Wittman was born in Herbert, Sasakatchewan on April 10, 1936. Mr. Wittman attended the University of Saskatchewan where he received his degree in journalism. He began his career in broadcasting as a news reporter with CFQC radio in Saskatoon in 1955. He also worked for CJNB radio in North Battleford, Saskatchewan. He was a mere 24 years old when he joined CBC Winnipeg on New Year's Day 1961. 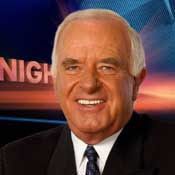 Mr. Wittman joined CBWT's supper-hour news program, called 24Hours, in 1970 as sports anchor alternating with another broadcasting legend in Bob Picken. He also worked on Winnipeg Jets radio broadcasts. "Originally, the melanoma was noticed on a ear and removed in 2001. "But six year later it returned, disguised initially as a backache. "It was diagnosed again around Grey Cup time after Don started having back pain, when it was still golf season at the St. Charles Country Club where he's a member". Mr. Wittman was well-decorated as a broadcaster, and it certainly was deserved. Mr. Wittman won two ACTRA awards and in 2002 was named Broadcaster of the Year by Sports Media Canada. He also was a member of the Canadian Football League Hall of Fame, the Canadian Curling Hall of Fame and Manitoba's provincial Sports Hall of Fame. His colleagues speak of his dedication to the profession - how his tireless work ethic and his commitment to being the best and most professionally-prepared broadcaster made him the best in the business. "He always was available to you," Scott Russell said. "He was somebody you learned from, the proper way to do things, the right way to announce. He was meticulous in the research he did. What was great about Don too, was he believed in all things Canadian in sport. The Grey Cup, curling...."
"You always knew he was a legend and I learned a lot from him," Colleen Jones said. "He never just mailed it in, he always wanted to be just so professional, so prepared and so ready, so wanting to do a great show. "He loved all the sports and he loved broadcasting. He was always thrilled to be such an eyewitness to all of the big events." On January 8, 2008, Don Wittman was honoured by his colleagues and friends as he was inducted to the CBC Sports Hall of Fame, and was paid tribute in a speech by Peter Mansbridge. "It was 1971 and Mansbridge's first day with the CBC. "Wittman was the only person to walk up and greet the 'scared stiff' rookie when he ventured into the Winnipeg newsroom 37 years ago this week." That wasn't what had the noticeably weaker Don Wittman smiling all night, though. The who's-who of Canadian television broadcasting and Canadian sports history was on-hand to honour Mr. Wittman. CBC's Scott Oake handled a tough assignment as emcee, but did it flawlessly. CBC's Terry Ludwick and Denis Lavoie presented film clips of Mr. Wittman's storied 47-year CBC career. Broadcaster Brian Williams bestowed the title of "Mr. Olympics" on his long-time pal for the 18 Olympic Games that "Witt" had covered. Retired CBC Vancouver sports broadcaster and buddy Ted Reynolds was there. New York Rangers GM Glen Sather made the trip from New York to honour Mr. Wittman. Calgary Flames GM Darryl Sutter and former Winnipeg Jets and current Ottawa Senators coach John Paddock also made the trip to Winnipeg to honour Mr. Wittman. Hockey Night in Canada's Ron MacLean, Bob Cole, Kelly Hrudey, Steve Armitage and Mark Lee all attended the celebration of Mr. Wittman's career. CTV President Rick Brace joined the party. TSN's Chris Cuthbert and Ray Turnbull made their way to Mr. Wittman's celebration. For those that couldn't be there, they sent video and telegrams in their places. Phoenix Coyotes coach Wayne Gretzky and Calgary Flames coach Mike Keenan sent video tributes. Former Winnipeg Jet and current NBC broadcaster Ed Olczyk also sent along a video tribute. Canadian Olympic star sprinter Donovan Bailey sent a telegram. Local sports and journalism icons also were strong in attendance. Former Winnipeg Tribune sports editor Jack Matheson, former CFL's Winnipeg Blue Bomber coach Cal Murphy, Bomber GM Lyle Bauer, Bomber alumni members Paul Robson, Joe Poplawski, and John Shanski and his wife, Maureen, all joined the party. NHL player agent Don Baizley, CJOB's Garth Buchko, Vic Grant and John Wells, former radio play-by-play man of the Jets Curt Keilback, Free Press sports reporter Tim Campbell, and veteran sports broadcaster Bob Picken all paid their respects as well. "And, among the dearest of all his friends, longtime curling broadcast sidekick Don Duguid, who was there for 'Witt' late last year when he needed to be driven to radiation treatments." It was at St. Charles Golf and Country Club where I got to meet Mr. Wittman for the first time. He was always joking with friends, and never seemed to frown. His positive attitude was evident after bad golf games in inclement weather when he would start cracking jokes in the locker room. It was always a pleasure to be around him, and he was always polite and humble. I am honoured and humbled to have met and known Mr. Wittman a little bit in my life. I will always remember his distinctive voice and outgoing, positive personality. He is everything that anyone should aspire to be in life. When the honours at his CBC Hall of Fame induction ceremnoy were over, the only words he could say were, "I'm humbled". I think the entire country of Canada is honoured to have had a national broadcasting treasure in Don Wittman calling so many historical and monumental sporting events. Rest in peace, Mr. Wittman. You'll be remembered by me, and you will never go unforgotten. Here is a video tribute from Hockey Night In Canada. If you'd like to send your wishes and prayers along to his wife, Judy, his two daughters and his son, please send your cards and wishes to CBC Manitoba, 541 Portage Avenue in Winnipeg, Manitoba, R3B 2G1. Every card and wish will go a long way to helping a family cope with the loss of an amazing man. Until next time, raise your sticks in honour of the remarkable man. - With files from the Winnipeg Free Press and TSN. I'm convinced that Rick Nash should be a lock for any All-Star Game and any Canadian Olympic team for the next decade or so, barring any major injuries. While I would say he hasn't his maximum potential yet, he is certainly nearing it. He reminds me of Mario Lemieux early in his career - big, strong, deceptively fast, amazing hands, and a game-breaker when he really puts his mind to it. He has shown flashes of superstardom on the international stage, as he did in the World Championships last season. Much like Lemieux's breakout tournament in the 1987 Canada Cup, it appears that Rick Nash is on the verge of being an NHL stud for a long time. In case you missed last night's highlights, Rick Nash absolutely embarrassed the Phoenix Coyotes to win the game for the Blue Jackets. He literally walked around Derek Morris, followed that up by making Keith Ballard look like a pylon, and then pulled a David Copperfield by making Mikael Tellqvist disappear. Let's go to the video. Best goal of the season thus far without a doubt. The best part of this entire article is that it's not just one highlight that has shown his development. Nash has a bag of tricks that he's been pulling out every now and then to make highlight reels everywhere. He certainly made the highlight reel on October 25, 2007 against the St. Louis Blues. Between the legs for a powerplay goal. Unreal. Nash seems to use his size and speed well. His long reach gives him a Lemieux-like advantage when it comes to finishing goals, and the Red Wings found that out in September of 2007. A backhand of beauty. Gotta loved the mic'ed up players. Of course, we go back to the World Championships where Nash was crowned the MVP of the tournament. He scores an amazing goal where he basically carried a Finnish defender to the net before bulging the twine behind the goaltender. Nash takes on Finland, and doesn't back down. The first overall pick of the 2002 NHL Entry Draft seems to be rounding into form quite nicely. Having Ken Hitchcock work with him to be a more complete player has certainly paid off for the team, and Hitchcock should be commended for his commitment to Nash's development. Nash appears to be on the precipice of becoming one of the most dominant players in the league. In preparations for Hockey Blog In Canada's first anniversary, I've done some clean-up of this blog. Personally, there were a few things that were starting to annoy me, so I decided to drop what I was doing in regards to a few of the hockey stories I was working on in order to make these small, but effective, changes. There have been some additions to the blog as well, and I'd like to highlight those as well. First, the menus to the right have changed for the better. Instead of having lists that seemingly go on forever, I've decided to incorporate drop-down lists. Personally, having a million links doesn't really sit well with me in terms of the design of the site, and this little piece of code fixes that problem. It's effective, it's easier to manage, and it looks much tidier. As an added bonus, when you select a link, it now opens in a new window. I find this to be important in terms of the design as well. If you're looking to go elsewhere, you don't have to leave this page to view a different site. It makes for much easier navigation, especially if you're just window-shopping through sites. Secondly, I've added a few sites that I had previously neglected to add and should have added. Bolts Blog has been added to the Hockey Blog List. These writers do a great job in covering the Tampa Bay Lightning, and I definitely recommend checking them out if you're interested in any happenings with the Lightning. Also added to the blog list is a blog written by ex-NHL goaltender Jamie McLennan. McLennan is currently playing in Japan with another former NHL player, Tyson Nash, and it appears they are having a blast. Check that one out! I also hooked up Scarlett Ice with a link because I try to follow the Senators as much as possible. I'm not a Sens fan per se, but they play entertaining hockey, and there's nothing wrong with that. Check out Sherry's chatter about the Senators there. Under the Hockey-Related Websites, I've added a link to the NHLPA's site. The NHLPA, despite all the negative press it received during the lockout, has done some great work this season in starting initiatives and bringing to light some of its members. The site is a great place to learn a little more about the players in the NHL and what the NHLPA stands for as a whole. Speaking of housekeeping, the NHL and IIHF are meeting again to iron out the wrinkles in the player transfer agreement between the organizations. Attending the meeting in New York City at the NHL offices were NHL commissioner Gary Bettman, NHL deputy commissioner Bill Daly, IIHF president Rene Fasel, NHL Players' Association executive director Paul Kelly, NHLPA general counsel Ian Penny and federation officials from Sweden, Finland, Slovakia, the Czech Republic, and Russia. Russia has yet to agree to any sort of transfer, and the goal is to get everyone onboard. The current IIHF-NHL deal was a four-year agreement that began last season, but gave both sides the option to re-open it before Jan. 1, 2008. Both sides mutually agreed to re-open discussions. Bill Daly was pleased with the discussions that occurred yesterday. "It went well today," Daly told The Canadian Press on Wednesday night. "We went through our respective views of what was transpiring and the possible causes. We share the same concern with respect to too many young players coming to North America before they are ready to play in the NHL. We talked about possible ways to address it. We have conceived of a possible short-term interim framework to give us more time for us to evaluate what's going on in the market place. "That framework is subject to all of the parties going back to their respective constituencies to discuss its merits." The NHL and IIHF identified that the biggest problem was having players come to North America before they are NHL-ready. Since the NHL pays approximately US$200,000 per player to be transferred to North America, it is imperative that the NHL teams see a return on their investment. However, the IIHF says only six European players signed last season currently play in the NHL out of the 59 contracts that were signed. Seven were returned to Europe and 46 are in the AHL or ECHL. Both sides agreed that a player who is still under contract with an IIHF team and has not reached his 20th birthday must be first offered back to his team in Europe. The new proposal sees the age limit increased by two years. This provision does not affect players who where selected in the first round of the NHL draft. Personally, I believe that this is good step in rebuilding the relationship that the NHL and IIHF have. There are a lot of young European players that seemingly get a shot at the AHL, and then fall off the map. A good European player could mean thousands of dollars in revenue for the team that signs him in Europe. The money needed to bring him to North America only to have him play in the AHL is not worth the effort. I commend the NHL, the NHLPA, and the IIHF in working towards strengthening the game worldwide with the re-examination of this agreement. Better development means better players, and that means there will be more exciting hockey worldwide. It seems there are simply no drawbacks to these discussions, and that's excellent for hockey. I'll admit it: I wasn't the best blogger in my first year of existance. I didn't score 52 goals like the man to the left, nor did I add 54 assists. Heck, I didn't even finish in the Top 10 in scoring last season. However, I've decided that since January 21 is the anniversary of starting Hockey Blog In Canada, I only have you, the readers aka the fans, to thank. You guys have made this first year very enjoyable. The comments left by readers have been insightful and helpful. The people who have contacted me via email have been respectful and polite while expressing their thoughts. Basically, you guys have made my first year of scrawling my thoughts onto a virutal notepad a pleasure, and it's time I reward you for your dedication to my insanity. There will be a contest. Not some cheesy trivia contest or Internet scavenger hunt, either. No, this contest will require you to think and analyze. It wil require you to organize your thoughts in a meaningful manner. It may require a little research and effort. It will most certainly require you to tackle a challenge. It will be an essay contest, like a "skills competition" for you, the fans. Now before you scoff and click off this page muttering about crappy high school essay writing, let me tell you that will have a choice. There will be three options for your essay question. These questions will have some fun associated with them, and they will require some thought from you if you decide to participate. So where's the hook, you ask? How can I get you to participate in a dumb essay contest? Why would I complete a monotonous task? What's in it for me, you ask? Prizes. Nothing like a little schwag for those that tackle this endeavour. What's that? You want to know what kind of schwag? What's with all the questions? I'm going to spend my hard-earned dollars from my normal, everyday job on you guys. I don't make any money off this blog, and I'm not looking to sell out. However, I haven't been approached by any advertisers looking to add some cashflow to my pockets, so I'll dip into my own savings as a way to say thanks to you guys. T-shirts will be available. An assortment of hockey memorabilia will also be made available: things like keychains, ornaments, and McFarlane hockey action figures for example. If it deals with hockey, I'll consider it. How do I win, you ask? First, you have to participate in the contest. Each essay question will be eligible for its own "top prize". All you need to do is select which question you want to tackle, and start writing. If you want to enter multiple times, you can. I have no problem with this. Secondly, once you're finished selected your essay question, type it up on MICROSOFT WORD or a comparable .doc format. For you Apple users, if you don't have a .doc formatting program, there are free shareware programs out there. EMAIL IT TO ME, and you're entered. Once you're entered, you're eligible for the prizes. What may garner you more attention is that the top essay for each question will be posted on this blog. You'll get your name in lights, figuratively-speaking, for the work you did. If you have been selected by me, the panel of judges, for a prize, I will contact you via email to discuss the prizes. Are you up for the challenge? January 21st will be the One Year Anniversary mark, and that's when the contest will go live. If you want to participate, make sure you check out this blog on that day. Who knows? You might win some free schwag and show off your writing skills while talking about hockey. The best part is that you don't have to operate a blog or even be a regular reader. All you need to do is write. 1967 is a long time ago. It's been 40 years since the Maple Leafs last won the Stanley Cup, and, thanks to Hockey Night In Canada, it appears that the Maple Leafs are content with making money and never winning. You hear that Leafs Nation? Don't expect a parade anytime soon featuring the Silver Chalice and your beloved Maple Leafs. It was revealed this weekend on HNIC that the Leafs had the opportunity to hire Scotty Bowman, he of nine Stanley Cup victories, but decided against hiring the winningest coach in NHL history due to Maple Leaf Sports and Entertainment's unwillingness to give Bowman the same deal they gave Bryan Colangelo of the NBA's Toronto Raptors. "I had pretty well put my cards on the table with Toronto that for me to come in it would have to be like a Bryan Colangelo type of deal," Scotty Bowman told Hockey Night In Canada. Colangelo has complete autonomy over the Raptors' operations. "I said the only way it's going to work for me would be a Bryan Colangelo situation," Bowman added. "I think they might have been concerned about how much time I was going to be able to spend, but I spend all my living time in hockey. Even though I'm not behind the bench, I'm still 24-7 and I enjoy it." After meeting with MLSE Chairman Larry Tanenbaum in mid-August, Bowman met with MLSE President and CEO Richard Peddie a week later. It was at this point that Bowman presented his idea of autonomy over the Leafs. Peddie, having heard Bowman's ideas, decided that the status quo in Leaf-land would be suitable for the upcoming season, meaning Bowman's proposal had been rejected. Now, I've watched hockey all my life. Many Saturday nights have been spent with Bob Cole and Harry Neale, Ron MacLean and Don Cherry, and Scott Oake and Kelly Hrudey. 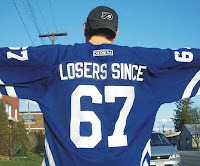 The one thing that has always been spoken about was the fortunes, or misfortunes, of the Toronto Maple Leafs. They've made trades, hired and fired personnel, and watched them get as close as the Conference Finals. Hiring Scotty Bowman - a guy who eats, breathes, and sleeps hockey - should have been a no-brainer. Instead, Toronto is 14th-place in the Eastern Conference, and Richard Peddie has gone on record stating that the hiring of John Ferguson Jr. was "a mistake". I'm not sure Scotty Bowman could have righted the ship in one season. This is a significantly flawed team at this stage, and their recent road trip down the west coast is proof. They mailed in two efforts and had a third period collapse. However, Bowman's hockey knowledge would have been a breath of fresh air for the Leafs, especially when you consider how many good young players have been jettisoned to other teams for aging talent. According to CBC reporter Elliotte Friedman, the Leafs are now considering the return of Cliff Fletcher. On his blog, Friedman talks of the disaster that is the current version of the Maple Leafs. In talking about Maple Leaf Sports and Entertainment, he writes, "[i]t’s a dysfunctional group at the best of times, paralyzed at its worst. Consensus is never easy". Friedman has identified the entire problem with the MLSE Board of Directors. Instead of worrying about making money, they have their hands in the cookie jar known as the Maple Leafs, meddling with every operational aspect of the Maple Leafs. MLSE made the right move in giving up operational control of the Raptors to a qualified individual. Why they haven't done the same for the Maple Leafs is a mystery. And why they wouldn't hand the controls over to a winner like Scotty Bowman is a slap to the face to every single Maple Leaf fan out there. Enjoy Purgatory for the next millenium, Leaf fans. You're not getting out of it until MLSE gets their collective hands out of the cookie jar. You can view the entire Scotiabank Hockey Tonight interview of Scotty Bowman by Ron MacLean by clicking here. The Strong And The Proud: The first ever U18 Women's World Championship ended Saturday night with the powerful US squad defeating Canada for the first gold medal ever. The USA used goals from Amanda Kessel, Brooke Ammerman, Meagan Mangene, Kendall Coyne and Brianna Decker to pace their team to a 5-2 victory over the Canadians. Congratulations to the women! "Beating them in their home barn with all their fans here was amazing," declared Kessel. "I won a national championship last year and it doesn't even compare to this." The Canadians got goals from Carolyne Prevost and Jessica Jones, but fell behind 4-0 before breaking the American shutout late in the second period. US goaltender Alyssa Grogan was named the tournament's top goaltender. Canadian captain Lauriane Rougeau of Beaconsfield, Quebec was chosen best defenceman and forward Marie-Philip Poulin of Beauceville, Quebec was selected as the top forward in the tournament. The final results saw the Americans finish on top, the Canadians second, and the Czech Republic grabbed the bronze after defeating Sweden 4-2. Germany, Finland, Switzerland, and Russia finished fifth to eighth, respectively. The 2009 World Women's U18 Championship's site has yet to be determined. I Guess I'll Get Paper? : Hockey Blog In Canada's first anniversary is coming up on January 21, and I've decided that I'm going to arrange a contest for you, the readers. Prizes will be given out, so if you want some free schwag, please keep your eyes on this site. The contest will go up on January 21, and it will close on January 28. I appreciate everyone stopping by and reading, so I figure that a few prizes are in order. Thanks again for stopping by. The two most dominant under-18 women's hockey teams will square off in Calgary, Alberta tonight at Father David Bauer Arena to determine who is the world's best. Canada meets the US in the finals of the 2008 IIHF World Women's Under-18 Hockey Championship, and this game should be a good one. Both teams feature great goaltending, solid defence, and some dynamic offensive abilities. Team Canada's offence has been led by a trio of women. Marie-Philip Poulin of Beauceville, Quebec and Camille Dumais of Beaconsfield, Quebec lead the tournament in scoring with 14 points each in four games. Natalie Spooner of Scarborough, Ontario is third in scoring with 11 points in four games. The Americans have received big tournaments from Ashley Cottrell and Amanda Kessel, both of whom have scored 10 points in four games. And if you're wondering, yes, Amanda is the sister of Boston Bruins star Phil Kessel and the USHL's Blake Kessel. The youngest Kessel has been impressive thus far in the tournament, and the 16 year-old looks to lead her team to a gold medal Saturday night. She even had a shot for her older brothers, Phil and Blake, regarding their success against Canada. "I’m excited to play Team Canada," she said. "I’ve watched my brothers play against them and they haven’t succeeded very much, so I’d like to beat them." In looking at the teams, though, it is clear to see just how dominant these nations are when it comes to women's hockey. Statistically, they rank first and second in most of the Women's U18 Championship categories. In terms of scoring efficiency, Canada ranks first, having scored on 22.73% of its shots, or 45 goals on 198 shots. The USA ranks third, having scored on 16.36% of its shots, or 36 goals on 220 shots. Canada has the best powerplay, scoring on 52% of their powerplay chances. They've gone 13 of 25 thus far in the four games they've played. The US is right behind them, having scored on 40% of their powerplay chances. They've scored 8 powerplay goals on 20 chances. Canada ranks first on the penalty kill at 100%, not having allowed a powerplay goal against in 12 shorthanded situations. The US ranks third at 85.71%. They've allowed two powerplay goals against in 14 shorthanded situations. The US boasts the best goaltending of the tournament thus far. The American save percentage is 93.94% while sporting a 0.50 GAA, only having been scored on twice on 33 shots-on-goal. The Canadians are second with a save percentage of 90.70% and a 1.00 GAA, only having been scored on four times in 43 shots. To give you an idea of how defensively dominant these two nations are, the Swedes ended up third in save percentage and goals-against average. The numbers? 88.43% (14 goals on 121 shots) and a 3.50 GAA. The Canadians and Americans were also the least penalized teams in the tournament, making it easier to keep their high-powered offences on the ice. The Americans have only recorded 32 PIMs through four games, while the Canadians have only recorded 34 PIMs through four games. These two teams also lead the way in shorthanded goals as they both had two in the tournament. Clearly, they are still dangerous when down a skater as well. The roster of the Canadians can be found here, while the roster for the American women can be found here. Both are in Adobe Acrobat form. I expect that Alyssa Grogan will start in net for the Americans tonight. The Canadians, I would guess, will stick with Winnipeg's Delayne Brian in between the pipes for them. Marie-Philip Poulin and Brianne Jenner will be relied on for goals for the Canadians, and the Americans will look to Ashley Cottrell and Brooke Ammerman. All in all, if the Canadians can win, they'll bring home the third gold medal in three weeks for the Canadians. The Americans will undoubtedly try to do everything in their power to stop the Canadians from succeeding. The game is unfortunately not being televised, but it will be webcast. You can log on to Telus' website where Telus and Hockey Canada have teamed up to bring you the event live. They also have archives there if you'd like to see any of the other games in the tournament. The game starts at 7:45 MT tonight, or 9:45 ET. Canada looks to strike gold for a third time! Cheer the women on! GO CANADA GO! Teebz's Book Club is proud to present another book today in the on-going series of hockey-themed books that I've been reading. Today's book is Searching For Bobby Orr by Stephen Brunt. I'll be honest: I've never really been a Boston Bruins fan, so this book was kind of an eye-opener for me. From the dark days before the NHLPA existed when a team could own a player for his life, Stephen Brunt examines how a kid from Parry Sound, Ontario became known as arguably the greatest player of his era, and a man who redefined the defenceman's role. He also examines how the NHL adapted to Bobby Orr's play, how Alan Eagleson became who he was because of Bobby Orr, and how the "Big Bad Bruins" came to be because of the kid from Parry Sound. First, a little about the author. "Stephen Brunt, a columnist at the Globe and Mail, is Canada’s premier sportswriter and commentator. He is the author of The Way It Looks from Here: Contemporary Canadian Writing on Sports; Facing Ali: The Opposition Weighs In; Mean Business: The Rise and Fall of Shawn O’Sullivan; Second to None: The Roberto Alomar Story and Diamond Dreams: 20 Years of Blue Jays Baseball. He lives in Hamilton, Ontario, and Winterhouse Brook, Newfoundland". He can also be seen and heard on Primetime Sports on Rogers Sportsnet on TV and the The Fan radio network across Canada with Bob McCown. The story that unfolds about Bobby Orr starts from his pond hockey days in Parry Sound. Early on, there was much talk about the small kid from northern Ontario in terms of his skill and excellence with the puck. NHL scouts began to hear about him, and a few made the trip to the sleepy northern Ontario town to see this kid in action. There are great anecdotes about hockey people like Stafford Smythe, Wren Blair, Derek Sanderson, Phil Esposito, Johnny Bucyk, Harry Sinden, Brian Conacher, Pat Quinn, and many others. The description of the old hockey games played between the Original Six teams and, later in the book, the Expansion Six teams offers true insight to how teams were more family than a collection of players. Stories of players standing up for one another when a dirty hit was thrown are common, and Mr. Brunt shows how brutal the hockey on the ice actually was in terms of the violence. Mr. Brunt gives great insight into Bobby Orr's life. He shows how the famous Orr temper led him to being one of the feared fighters in the league; a man who wouldn't back down from the toughest competitors on any team. Mr. Brunt demonstrated how he was a quiet kid, one who avoided some of the vices that affected players of that era - women, drinking, partying. He also showed how Bobby's mother, Arva, was extremely protective of her son, worrying about his schooling and whether he was eating enough when he was playing in Oshawa in the OHL. His father, Doug, was painted as a proud man who was Bobby's biggest fan. Overall, I found Mr. Brunt's biographical accounts allowed for a deep understanding of the people in this book. Mr. Brunt also goes into detail about how Alan Eagleson moved from being a lawyer and politician to the most powerful hockey man for over a decade by associating himself with Bobby Orr. As Orr's friend, he became Orr's attorney. From there, he became Orr's trusted adviser and player agent, essentially becoming the first official player agent in the NHL. Having read Gretzky To Lemieux by Ed Willes, Mr. Brunt's book adds to the story of Alan Eagleson, and shows exactly how he came to being the man who ran hockey in the 1980s. Most of all, Mr. Brunt details exactly how Bobby Orr's knees eventually led to his retirement from the game he so dearly loved. He discusses the operations and how doctors continually proclaimed that Bobby would be fine, yet showed how the primitive knowledge of these doctors compared to today's specialists might have saved Bobby's career. Overall, I found Mr. Brunt to ramble sometimes in his writing, but he always got around to making his point. However, his story about Bobby Orr was told well, and gives hockey fans a birds-eye view of hockey in the 1960s and 1970s. Personally, this book has provided me with a new respect for Mr. Orr as I had not known a great deal about him. Mr. Brunt's book shows the good and the bad, but doesn't sugar-coat anything to make it seem like a tragic tale, stirring empathy for the titled hockey legend. This book certainly deserves the Teebz's Book Club Seal of Approval as it was extremely informative and an amazing study of one man's career. If you're a Bruins fan, a hockey historian or a hockey fan, I recommend Searching For Bobby Orr. It certainly was an enjoyable read. The NHL has made it official. After hearing suggestions by major broadcasters and news sources, the NHL has decided to include the shootout in the NHL All-Star Game Skills Challenge as an event. Much like the NBA's Slam Dunk Competition, judges will award marks for creativity and outrageousness in the moves shown by the competitiors. In terms of pure fan entertainment, this should dramatically change the Skills Competition. Having watched a few spectacular shootout goals since the shootout was included in NHL games, this gets a major thumbs-up from this writer. And guys like Pavel Datsyuk, Henrik Zetterberg, Daniel Alfredsson, and Vincent Lecavalier will have an opportunity to show off some sick moves while not having to worry about losing a point or affecting their teams' standings. Having a guy like Zetterberg in the Shootout Shoot-out can also get the fans out of their seats. Of course, for pure entertainment value, there has to be some pretty insane moves. Guys cradling the puck on their sticks, spin-o-ramas, and goals from between or behind legs. I know some of the following guys won't make the NHL All-Star Game in Atlanta, but here are some of the more memorable goals. Marik Malik on Olaf Kolzig. TSN presents the Top 10 Shootout Goals of 2007-08 thus far. Yeah, there's some definite beauties in that package. I am happy and excited for this development as it will really allow the players to be creative. The goaltenders, on the other hand, probably won't be all that excited, but the All-Star Game is still a fan event, and this plays directly to them. Of course, I want to see a player or two duplicate Robbie Schremp's shootout magic. If you missed the article from last year, please click here and check out Schremp's shootout wizardry in the Mad Skills article. Those moves are incredible. In other All-Star Game news, Roberto Luongo has decided to skip the NHL All-Star Game to be with his wife, Gina, who is expecting a child in the spring. Personally, I would have liked to see him there, but I have no problem with him taking some time off to be with his family. I'm sure some fans will be disappointed, but it gives another player an opportunity to showcase his talents, so it's really more of a wash than a loss. Overall, I am more excited for this year's All-Star Game in Atlanta than others before it. The shootout is a big part of the NHL now, and I'm happy that the NHL and NHLPA have decided to adapt the showcase event for their stars to include one of the best fan-friendly events of the game. I was reading through ESPN today, looking for something to amuse my hockey passion, when I stumbled across the article written by ESPN scribe Scott Burnside entitled Red, White And Who?. Burnside basically boils the article down to the hockey cultures surrounding the Canadian and USA World Junior Championship teams, and how they differ immensely in terms of attitude and results. Personally, this might be the best article that I have ever read on ESPN about how the game is fundamentally flawed at the grassroots level in the United States. I commend Scott Burnside for tackling a delicate subject. In his article, Burnside makes mention of the apathy the American public has towards the most talented hockey players under the age of 20 in the US system a few times, most notably in his opening paragraph. This has always been a shock to me that the US public simply ignores the best young talent their country has to offer, yet can be the same public that heaps praise on their best professional players. As Burnside wrote, "[i]t's a good thing few people in the United States follow the Under-20 World Junior Championship", otherwise there may have been outrage with the way the Americans performed. However, his statement also has an ugly flipside - no one is watching, which is sad. The stats don't lie about how hockey in the US has developed to be parallel with the Canadian system. Burnside writes, "U.S.-born players were selected 1st and 2nd at last year's NHL entry draft (namely, Patrick Kane and James vanRiemsdyk) and the American contingent at last year's draft represented a record 29.9 percent of all players selected". It was the first time ever that American's had gone first and second overall, and it was also the first time that Americans had been selected first overall in consecutive drafts after defenceman Erik Johnson went first overall in 2006. It doesn't stop there, though, as Burnside continues presenting a strong case. He writes, "[t]en Americans were taken in the first round each of the last two years. In short, the U.S. is producing top-level hockey talent in unprecedented numbers". And, in short, they are. Since 1987, the following NHL players have played in the World Junior Championships for Team USA: Patrick Kane, Erik Johnson, Jack Johnson, Phil Kessel, Peter Mueller, Chris Bourque, Ryan Suter, Ryan Callahan, Dan Fritsche, Patrick O'Sullivan, Drew Stafford, Patrick Eaves, Zach Parise, Ryan Kesler, Rick DiPietro, Brian Gionta, Michael York, Scott Lachance, Jeremy Roenick, Scott Young and Brian Leetch. Not a bad list of players, eh? However, the results that USA Hockey needs just aren't being produced. Since 1986, the Americans have won a total of five medals: three bronze, one silver, and one gold. During the last 22 years, the USSR ceased to exist, Sweden disappeared as a hockey power, and Czechoslovakia split into two nations. With the hockey world weakening, it leads me to ask where USA Hockey gone wrong? As Burnside put it, "[a]ll of which makes you wonder if the millions of dollars spent housing the National Team Development Program in Ann Arbor, Mich., are worth it". Is it? If the results against a weaker hockey world aren't being obtained, is USA Hockey doing things right? Burnside goes on to show the Canadian psyche when it comes to the World Junior Tournament. He writes, "[t]he Canadian program under coaches like Craig Hartsburg and his predecessor, Brent Sutter, is run like an NHL team. Players, although predominantly 18- and 19-year-olds, are treated as pros, which is commensurate with the expectations that surround the Canadian team each December. It is not a huge stretch to suggest that the pressure on the Canadian junior team each year is almost as great as the pressure on the Canadian men's Olympic teams. The tournament regularly draws enormous television ratings in Canada, and the players are feted as heroes when they win and are subject to scathing reviews when they don't". Indeed, it is run like an NHL team. The Canadian World Junior team brings its own chef and cooking team with it for the players. The players are viewed as hockey idols for approximately one month, an entire nation living and dying with their every move. They have as much press and TV media following them as any given NHL team. They are, for lack of a better term, professional hockey players when it comes to this tournament when you look at the scrutiny, the pressure, and the circus that surrounds these kids. In looking at the American program, Burnside writes, "[t]he American program, while icing squads that matched up well with the Canadians on paper at least, have little external pressure on them to perform and clearly little internal pressure or motivation to make up for that". And therein lies the difference. For Team Canada, wearing the maple leaf on your jersey is a matter of pride. It shows the heart and courage and sweat that has been institutionalized as a member Team Canada, and it is understood that when the jersey is pulled over your head, anything less than gold is a failure. Wearing the red-and-white colours makes you accountable not only to yourself, your coach, or your teammates, but to an entire country that lives and breathes hockey. It is that external pressure that forces the players to accept nothing less than the best. It is the pressure from 30 million hockey fans that forces Team Canada into demanding a higher standard from its players, coaches, and organization. I'll let Scott Burnside explain the importance of having Americans shift their attitudes regarding hockey in America over the next year. "Those who knew that 2004 American team, a team that erased a 3-1 third-period deficit in beating Canada, suggest Mike Eaves was that kind of coach, demanding accountability from his players throughout the tournament. It is a dynamic that has yet to be repeated, creating the impression that the NTDP coddles players as much as it develops them for international competition. "With the World Junior Championship coming to North America for the next four years (three times in Canada, once in the U.S. at a site yet to be determined), the ground is fertile for USA Hockey to build a following for the junior program, to create buzz around the team. But until USA Hockey can find a way to avoid what has become its annual malaise come WJC time, there will be little chance at traction." Scott Burnside should be handed the keys to the doors of the training centre in Ann Arbor, Michigan. He understands that hockey in the US will never ascend the mediocrity it finds itself buried under until someone makes the players accountable to the entire nation. He understands that finishing out of the medal rounds will continue to be the only reality for USA Hockey until pressure is placed on the players and organization to make wearing the red, white, and blue on the ice a symbol of national pride and focus. The problem, though, is that there is only one group of people in the world that can make this happen, and they don't work or play for the USA Hockey program. They are the fans. They are the men and women and children of the country of the United States of America. Once the idea of breaking the mediocrity of finishing fourth or sixth or eighth, USA Hockey becomes a power. If that idea is allowed to flourish for several years, the US becomes a dominant power like Canada or Russia. Therein lies the rub, though. Hockey has never been a dominant sport in the US like it has in Canada, Russia, the Czech Republic, Sweden, or Finland - places where medals in Olympic hockey or World Championship hockey are expected. I'm not saying that there aren't Americans who don't care about World Junior hockey or World Championship hockey, but it sure seems that way. And that, in itself, is damned shame for hockey in America to exist. Especially when the American people expect nothing but gold when it comes to the Olympics, the biggest stage when it comes to hockey on the world's stage. With the majority of NHL teams having played their required 41 games so far, I thought it might be fun to have a little mock awards show for players who stood out in the first half of the NHL season. Basically, like the MTV Music Awards and American Music Awards, these are joke awards that poke a little fun at the players. They mean nothing, and should not be taken out of the context of being a mock award. I respect the NHL players and what they do, but, sometimes, it helps to have a little giggle due to the circumstances of some players. This is definitely for comedic purposes only, though, and should only be viewed as such. Without further adieu, though, here are Hockey Blog In Canada's Mid-Season Review Awards. 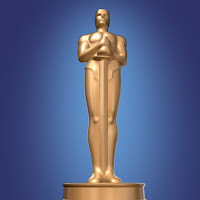 Please click on the award's name to get a close up view of the award that is being given to the player. 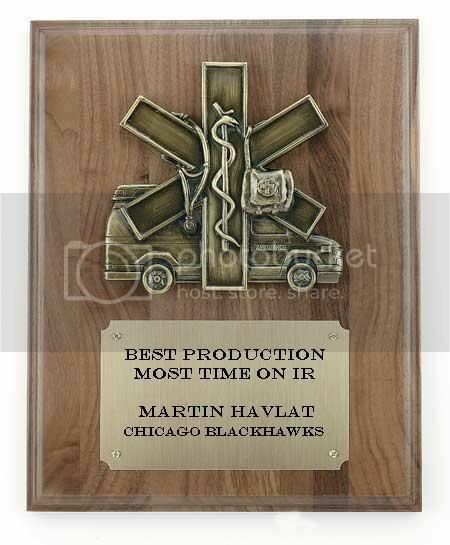 1) Best Performer With Most Time on the IR Award: Much can be said about the resurgeance of the Chicago Blackhawks this season. Strong play from their dazzling rookies in Patrick Kane and Jonathan Toews has contributed. The re-discovery of scorers like Patrick Sharp and Robert Lang has certainly helped. However, the one guy who brings it hard every time he plays is Martin Havlat. The problem, though, is getting him to play. In 12 games thus far this season, Havlat has five goals and six assists - good for 11th in team scoring. Nearly averaging a point-per-game is a solid performer at the NHL level. However, playing in an average of 28 games per season over the last three seasons due to various injuries has limited Havlat to an average of 13 goals and 15 assist - a point-per-game. Havlat has certainly made the most of his time on the ice in between hospital stays. 2) The Clock Is Ticking Award: This award was almost given to a couple of other notable names - Jeremy Roenick and Mark Recchi were considered, but both have contributed to their respective teams. So instead, we look at another player who has almost gone unheard of since the 2001-02 season. Owen Nolan joined the Calgary Flames this summer, and was supposed to add some scoring punch to the second or third lines as well as the powerplay. The rugged forward was to be a compliment to the Flames other power forward in Jerome Iginla. Instead, they got what Toronto and Phoenix found out - he doesn't skate very well anymore, and his hands are more like stone. In 39 games with the Flames this season, Nolan has 7 goals and 6 assists. Projected over 82 games, Nolan would end up with 15 goals and 12 assists, his worst season total since his rookie season with Quebec in 1990-91. It's time to move on, Nolan. You're not worth the money you're being paid. 3) Best Team - First Half: This is an easy one, and it's not just based on their record. The Detroit Red Wings have been missing key players at various times this season, yet the Big Red Machine just refuses to lose. The Wings have been without the services of Henrik Zetterberg, Tomas Holmstrom, and Pavel Datsyuk at various points during the season, yet others step in to fill the void. Jiri Hudler has been excellent; Valeri Fittipula has performed well; Dan Cleary has continued to score goals in a checking role. On the back end, Chris Osgood has been a surprise with his strong play, and Dominik Hasek continues to have another Hasek-like season. The depth of this team is unparalleled in the NHL right now, and they certainly have been the best team up to this point due to that depth. 4) Best Job At Avoiding A Pink Slip: With Glen Hanlon and Bob Hartley already fired, it seems to me that there is another team that is stocking top-10 NHL Entry Draft picks like no one else. The Los Angeles Kings have a ton of good, young talent, yet find themselves dead last in the NHL standings, three points behind the Tampa Bay Lightning. Marc Crawford somehow avoids a pink slip daily, and I keep asking myself how. Does he have compromising photos of Dean Lombardi? Is he holding someone's daughter for ransom? The guy has zero coaching skills. If he did, you would expect the Kings to make some improvements each year. Instead, he posted 27 wins for the Kings last year as their head coach, and seems to headed for that total again this season as the projected win total is 28. The guy he replaced, Andy Murray, has taken a young St. Louis Blues team, and made them a legitimate threat this season. WHY DOES CRAWFORD STILL HAVE A JOB? 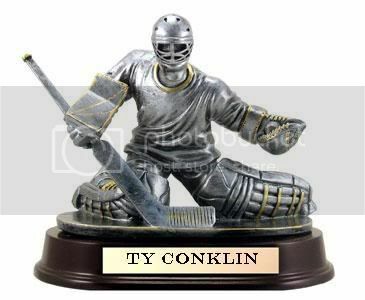 5) Best Career Save: The one guy who may have saved his career in the NHL this season so far is Ty Conklin. After sitting all last season in Buffalo watching Ryan Miller play, Conklin signed a minor-league deal with the Pittsburgh Penguins. 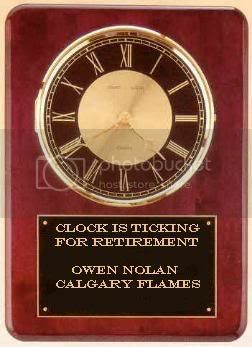 The 31 year-old's career appeared to be over after the Oilers all but gave up on him. Instead, Conklin has been the second-coming of Patrick Lalime in Pittsburgh. As you may remember, Lalime started his career with a 16-game undefeated streak, an NHL record. Conklin has essentially restarted his career with a seven-game unbeaten streak with the Penguins, and helped vault his team into fourth-place in the conference, and one point behind the Atlantic Division-leading New Jersey Devils. Conklin has been a large reason why the Penguins have climbed the Eastern Conference standings. 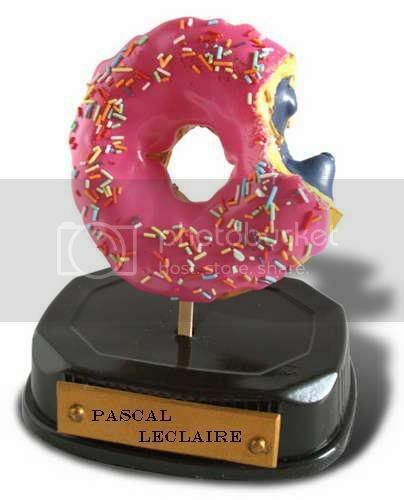 6) The Doughnut Award: Despite the strong play by both Chris Osgood and Roberto Luongo as of late, goaltender Pascal Leclaire is still my pick for the best goalie of the first half. He has seven shutouts to lead the league. He is sporting a 1.97 GAA. His save percentage is .928. He's 13-8-3, and has been a large reason why the Blue Jackets are challenging for a playoff spot. The Columbus Blue Jackets are no longer the pushovers of the Central Division and currently sit in third place, one point behind the St. Louis Blues. While Fredrik Norrena has struggled this season, Leclaire has finally found the form that made him the 8th overall pick in the 2001 Entry Draft, and given the Blue Jackets a chance at their first post-season in franchise history. While Osgood and Luongo play on teams that were expected to challenge for division titles, no one expected this of Pascal Leclaire and the Blue Jackets except for the Blue Jackets themselves. 7) Best New Kid: The flame burns brightly in Chicago where two dynamic rookies play. 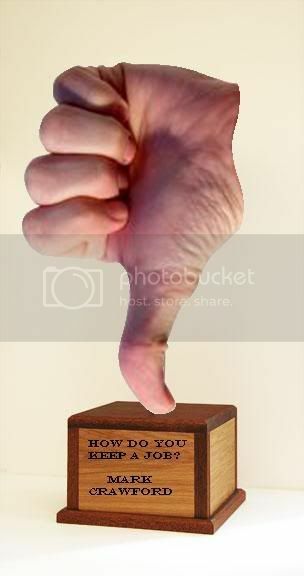 However, this award goes to Jonathan Toews in the first half. Why? I'll let the video do the talking. 15 goals and 17 assists in 36 games helps as well. 8) Jackass Veteran of the Year: As you can see, this award is just a signed DVD copy of the movie Jackass because you really don't deserve anything for being a complete jackass. 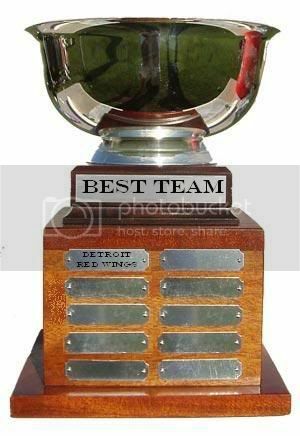 However, this award goes to the New York Islanders' Chris Simon. I'll let the lowlights of his year do the talking. 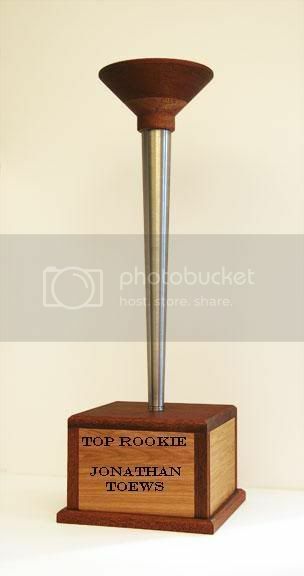 9) Jackass Rookie of the Year: This award is simply a Jackass 2 poster. No autographs or anything on it most because this next player doesn't even deserve an NHL job at this point. Steve Downie is total jackass. This kid needs to start trying to throw hits and punches with some of the established heavyweights in the NHL so he can get his clock cleaned. Georges Laraque would be my first choice, followed by Brian McGrattan and Andrew Peters. Again, let's go to the video to see how Downie won his jackass award. Get this kid out of the NHL. He's a loose cannon. 10) First Half MVP: Look, I'm a strong believer that an MVP shouldn't come from a last-place team. It might happen in baseball, but really... if the MVP wasn't on the last place team, they still would have finished last, right? So Vincent Lecavalier is out. My other criteria is that the player has to elevate the other players around him while improving his team's standing overall. To that degree, no one has done more to make the players around him better while making his team as good as it can be than Henrik Zetterberg. In 37 games so far, Zetterberg has 25 goals and 28 assists. He appears on the highlight reel every night. There really has been no one who has played better all season in both ends of the rink. He also plays on both the powerplay and the penalty kill. 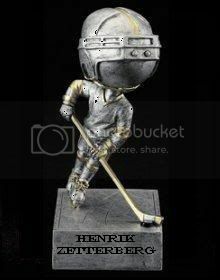 In terms of being the most valuable player in the league, no one does more for his team than Henrik Zetterberg. Ok, so that's a little fun for today. Take it easy, and have a few laughs at these awards. I'm working on a couple of things for this week, and hopefully these little projects will come to fruition.